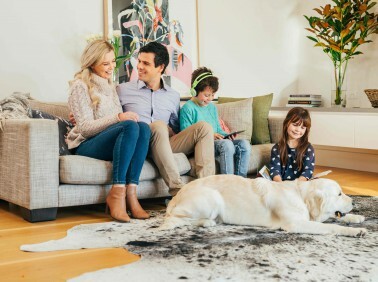 Our Langwarrin MyHome sophisticated Dry-Touch Carpet Cleaning system uses a unique formula infused with Healthguard which effectively removes bacteria, fungi and mould from carpeting and rugs. This leaves them with a natural balance of softness and bright colours. The best part is that the MyHome Dry-Touch cleaning process does not use harsh chemicals or leave that obnoxious wet carpet smell behind. You’ll enjoy a light, lemony fragrance when the cleaning is complete. Since MyHOme clean do not use harsh chemicals or lots of hot water to get your carpets clean, MyHome Langwarrin cleaning services prevent your carpets from shrinking and stretching. Carpeting is used in many Langwarrin homes because they add a bit of insulation to keep everyone warm and comfy. Rugs also allow you to add your individual style to your living space. While keeping your home warm, comfortable and a bit safer, carpets also save on energy bills. Your children and pets will love the warmer environment, and you will continue enjoying the benefits of using less energy. So, how do you keep your rugs and carpets looking and smelling like new? Schedule regular hygienic cleanings with MyHome Cleaning Services and our Dry-Touch cleaning system. 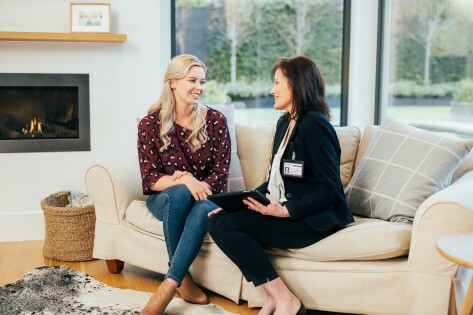 A lot of cleaning services rely on the traditional steam cleaning method, but MyHome Langwarrin Carpet Cleaning services with our Dry-Touch system is different. This revolutionary system helps you maximise your investment by helping you keep your carpets looking and smelling great! The Dry-Touch system never soaks your rug in litres of water so that your freshly cleaned rugs and carpets are ready to walk on in just one hour. We are certain that you are going to love what MyHome Langwarrin Carpet Cleaning services do for your home that we guarantee your complete satisfaction. That means if you are not totally satisfied, we will come back and do it again without charge! It is not as uncomplicated as some people think to clean carpets and that is why you need to hire the right Langwarrin carpet cleaning service. It is important for you to know that traditional cleaning companies use a hot-water extraction cleaning system using chemicals and hot water. This hot-water extraction method causes damage to fibres and fabrics leaving the smell of damp carpets and chemicals behind and a damp residue that only attracts more dirt. 13 22 31. We will provide you with a free quote for which you are under no obligation to accept. Our online form is another way of getting in touch with us.